The Jaguars’ miserable and noxious season came to an end today, but not without one final reminder of how dysfunctional the team is from top to bottom. This means nothing for Yeldon, who will be a free agent in the offseason and is unlikely to re-sign with the Jags. Fournette, however, is supposed to be a franchise player going forward, and this is now the second time this season he’s been at odds with the front office. Back in October, the team made a hasty trade for running back Carlos Hyde because they were apparently unhappy with how long it was taking Fournette to rehab his hamstring injury. 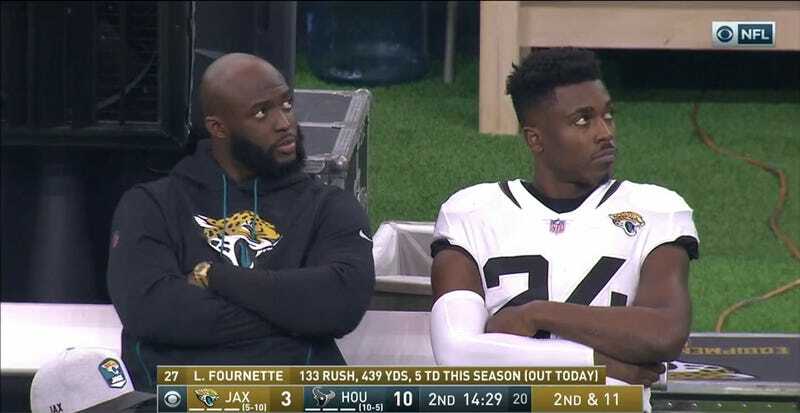 That trade didn’t do anything to improve Jacksonville’s season, but Coughlin getting upset at Fournette and airing him out in public on the last day of the season is sure to get things back on track for 2019.